Discussion in 'General Discussion' started by EndersGame, Apr 16, 2019 at 10:34 PM. Top Aces of WWII was funded on Kickstarter in September, and is the sequel to Top Aces of WWI. At the beginning of this year, I was reminded that the 150th Anniversary of the completion of the 1st Transcontinental Railroad is coming up. May 19th 2019 to be exact. 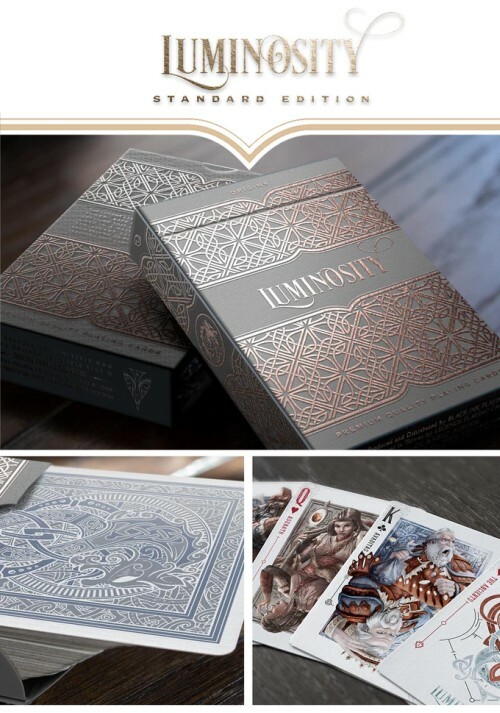 I thought it would be fun to make a limited special edition deck to celebrate the occasion. This is a completely redrawn and redesigned deck of the original Golden Spike Kickstarter project done in the summer of 2014. The Kickstarter Launch was November 12th. You can follow me on Kickstarter, or go to my website to subscribe to my newsletter to get updates, or friend and follow me on social media. Where to get them? 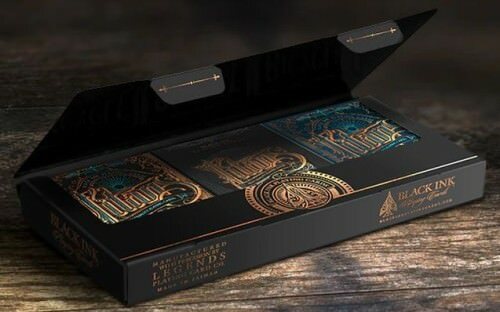 You'll find some of the Black Ink Playing Cards range here at PlayingCardDecks.com, including Golden Spike, Innovation (Standard and Black), Devastation, Inception (Inceptus, Illustratum, and Intellectus), Titans Robber Barons (Standard and Signature), and Iron Horse.